During Gamescom expo that took place at the end of the last month, the developers showed a huge part of Wolfenstein: The New Order game. If you have missed this event, we are ready to show you the best parts of Wolfenstein gameplay video with detailed commentaries. At Gamescom the developers decided to open the veil of mystery and tell us more about the game's plot. As we already know, in Wolfenstein: The New Order the Nazis have won the World War II and now they rule the whole Europe, using fantastic and powerful technologies and innovative weapons. Wolfenstein gameplay video we want to show you today, demonstrates the events that happened in 1946. During special mission the game's protagonist firstly meets one of the project's antagonists and... gets to a mental hospital. The only one person, who takes care of our hero for the further 14 years is Anya, a nurse from the hospital. And when the Nazis take her away, William decides to do everything, but to save the girl. This Wolfenstein gameplay video shows not only the details of the game's story, but also the beautiful graphics of the upcoming project. 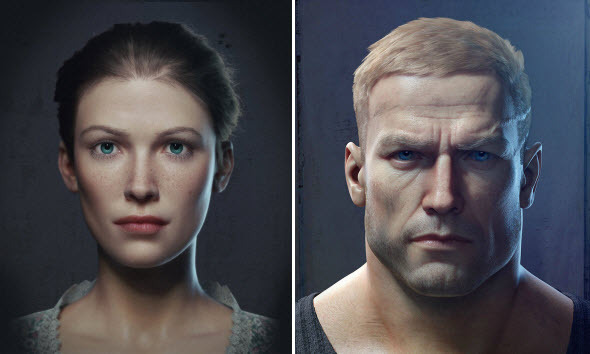 We are very excited about Wolfenstein: The New Order release in 2014. And what about you? We will be happy to see your opinion in the comments below.